With fuzzy narrative and alienating plot-points, Captain Marvel can still deliver a blast along with profound empowering message. Ever since Thanos wreaking havoc in Infinity War, the wave of expectation about the real ‘avenger’ to avenge The Avengers hasn’t even plummeted down. Audiences seem to take the thing seriously and, since that emotionally relieving post-credit scene of Marvel’s most emotionally draining movie yet, expectations are soaring high. 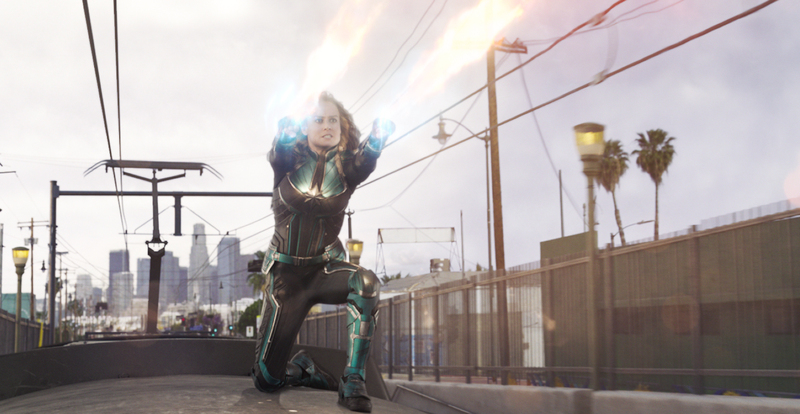 Only if Captain Marvel—the studio’s first solo female movie—could level up to the altitude, will those expectations be quenched. Instead of leveling up the height, Marvel chooses to take a step back and a pace down. Helmed by indie directors behind Half Nelson, Anna Boden and Ryan Fleck, Captain Marvel does not pick up where Infinity War left out; it introduces a completely different landscape with a completely distinct timeline. Even bolder, Boden & Fleck brings the character in with a fuzzy, alienating entrance which only makes sense halfway through the movie. With this instance, it seems that Marvel’s confidence is the one that is skyrocketing to catch up with audience’s expectation. Brie Larson as Vers a.k.a Carol Danvers a.k.a Captain Marvel in her solo movie. Unlike other superhero origin story, we don’t begin the story with the human version of the hero (Carol Danvers) nor the hero version (Captain Marvel). Instead, we begin with an amnesiac Starforce member of Kree called Vers (Brie Larson). Possessing uncontrolled, godlike power, she needs to be mentored by a Kree warrior (Jude Law, as a carefully concealed character) to prepare herself for the war against shape-shifting alien race called Skrull. In a skirmish against the opponent, she is captured and manipulated; at the same time, she finds a glimpse of her past that led her to Earth—the place where her past, her present and her future collide. Interweaving three narrative threads toting three alter-egos respectively is the main challenge in Captain Marvel. While the movie is able to deliver it eventually, the road isn’t exceptionally smooth. Most of the time, the fuzzy plot is alienating and somehow hard to follow. There’s too many things to absorb at once—from the mechanism of Kree-Skrull war (comic book fans get the advantage here), Carol Danvers’ distant memory (including ones portrayed by McKenna Grace), the fact that none of the prior comic book speculations made it to the screen (note this, Mar-Vell and Jude Law’s role) and Annette Bening’s elusive character. All of those are intrinsic element of the movie alone; but, there’s more to it. Non-fans or fans with shorter memory span will find Captain Marvel a little alienating. Be reminded that this is not the first time Kree race made appearances in MCU; Guardians of the Galaxy‘s big-baddie, Ronan the Accuser (Lee Pace), was an elite member of Kree’s cavalry. It is not surprising that his appearance here might be baffling. More elusively, there’s another recurring element—the macguffin used in Captain America: The First Avenger and, again, in the first Avengers. This element only probes more questions than answers to fans, let alone non-fans. Captain Marvel only becomes exhilarating once passing the half-time. Substituting the expository origins with hybrid of ’90s-styled hard-boiled action and superhero movie, the movie finally showcases that Marvel’s trademarked exhilaration. 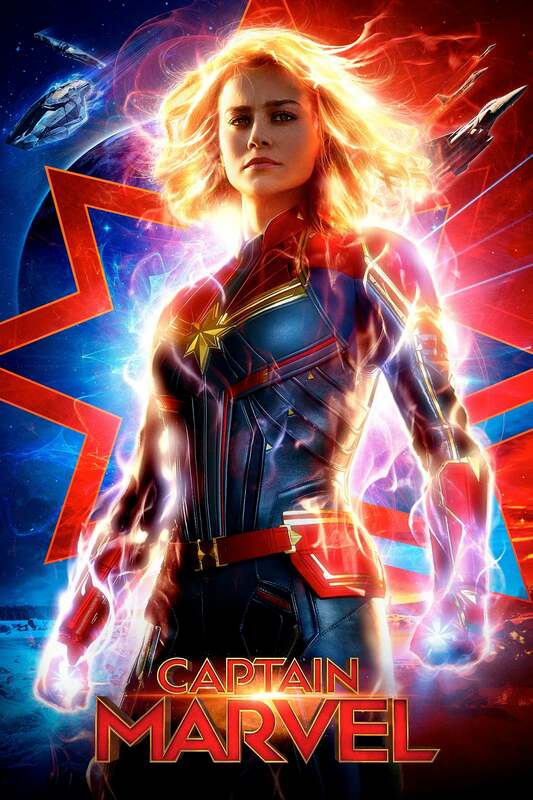 Replicating the visual style of the era, Captain Marvel brings about a decent nostalgia to the action flicks of the decade (including Con Air, Speed and the later installment of Lethal Weapon). At this point, Nick Fury—hitchhiking in to tell a mini origin story of himself—makes a great B-movie duo with Danvers. The most exciting moment comes before the movie finally ends; it’s genuinely fun albeit short-lived. Unlike DC’s Wonder Woman which plays it subtle in delivering the empowerment message, Captain Marvel gives an uncompromising message. Picture this: be it as Danvers or Vers or Captain Marvel, there have always been people (her mentor, her father, her comrades, her superior—telling her that woman isn’t capable of flying combat jet) telling her what to do and whatnot, how to do, what she is, what she’s worth and everything; all goes until she finally discovers herself and her worth. Beyond, she shows them how overly capable she is. In delivering this powerful message, Brie Larson gives zero f—k as she transforms into that empowering figure on screen and on her social media account. Final verdict, with fuzzy narrative and alienating plot-points, Captain Marvel can still deliver a blast along with profound empowering message as she prepares to elevate the cinematic universe to the next level.